Announcement comes days after Gemalto had declined a similar offer from Atos. French multinational company Thales has announced a deal to buy digital company Gemalto. The deal, which is worth €4.8 billion, was announced over the weekend, with Thales, which (among other things) works in the aerospace and defence industries, offered an all-cash offer for Gemalto, worth €51 per share. The deal can still fall through, in case someone makes an offer that exceeds the Thales one by at least 9 per cent. A week prior to the acquisition agreement, Gemalto had received an offer from Atos thought to be worth €4.3 billion. “I am convinced that the combination with Thales is the best and the most promising option for Gemalto and the most positive outcome for our company, employees, clients, shareholders and other stakeholders,” said Philippe Vallée, Gemalto’s chief executive. Gemalto will continue working under its own brand, with Mr Vallée staying at the helm of the combined digital security business. 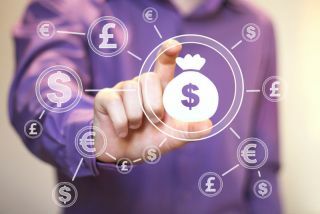 The Financial Times says the combined business will generate €3.5 billion in sales, and should rank among the top three players worldwide in the digital security market. “The first thing is that jobs in the sector are kept in France . . . the second thing we must watch is investment and innovation,” said Bruno Le Maire, French finance minister, in parliament on Wednesday.